You’ve just taken over a client from an unscrupulous agency; title tags are stuffed with keywords, there’s a dodgy backlink history and the meta keywords are used on every page. Worst of all, your just not getting the traffic you’re expecting from the rankings you’re achieving. 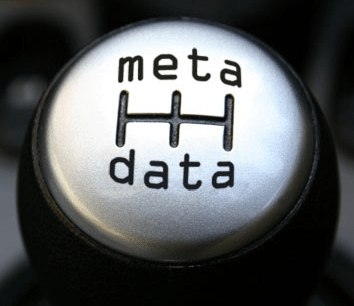 You look at the analytics and webmaster tools and see that click-through rates are well below what you’ve experienced before; the meta descriptions need changing, fast. This two part series is going to look at how to find quick wins from your description without checking every single one manually, ultimately getting the traffic you deserve. Brand: Do your consumers trust you? In fact, do they even know you? If you’re ranking #1 and have no branding why wouldn’t everyone click on the well known brand in the #2 position. Marketing Synergy: Related to branding, are you doing any advertising in other mediums such as TV, display or social media that will help drive buzz for your product/service and generate clickthroughs. The type of search: It’s long been shown that different types of searches will relate to different click through rates. If a consumer is searching for “buy Panasonic TZ10” they are almost at the end of their consumer journey and will undoubtedly click on a retailer rather than an information site. 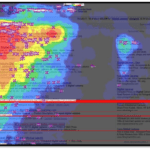 The SERP: Universal search will screw up your expected click through rates, as they’ll often affect where your rankings are visually positioned on the page. Relevancy of Title +Description tag: Is the copy that you’ve written relevant to what the user is searching for? Are there keywords in the title? Does the description sound relevant to the keyword being searched for? Pull of Title + Description: Is the copy well written? Does it read well (probably not if it’s jam packed with keywords)? The description is the SERP sales person, is it going to convince the searcher to click on your snippet. We’ve established what the key factors are but how can we effectively and methodically improve them. Note that we’re looking at a certain time period (usually pre-set to the last month), and there is a visual representation of the impressions + click through rates. 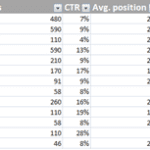 Below this is a list of all your keywords, as well as the number of impressions, clicks and click through rate (CTR). In part II of this post, I’m going to show you fast, effective ways to find these issues and deal with them.